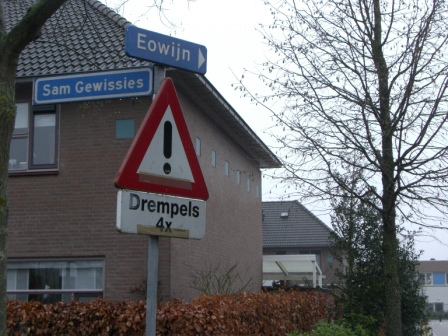 Geldrop is a small town located in the south Netherlands, with 28000 inhabitants aproximately. It would seem a perfectly normal town, until you start noticing the names of the streets in one part of the city. 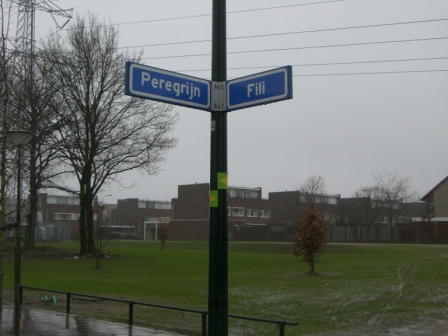 Even more outstanding, in my opinion, is the fact that characters that are somehow related have street names close to each other, for example: up to the north we have the Gondorian streets, which include Faramir, Boromir, Denethor, Aragorn, and even the Palantír, more to the left (it is actually pronounced palAntír, contrary to what I thought for many years.) Going left, we have Frodo, Elrond, Elanor and Glóin. And dangerously near we find Saruman street, a constant menace. Proceeding left, we find the mightiest of the Valier, Varda and Yavanna, followed by the most misterious character of all, Mr. Tom Bombadil. Immediately below we find Fangorn, and then we come to the Dwarf section, all but one Dwarves appearing in The Hobbit: Bifur, Bofur, Bombur (which correctly is a larger street), Balin, Dwalin, Dori, Ori, Fíli, Kíli, Farin (grandfather of Balin and Dwalin, then Thórin, and below the Father of Dwarves, Dúrin. A bit below we find Erebor the Lonely Mountain, and Gimli and Pippin, with Peregrin nearby. 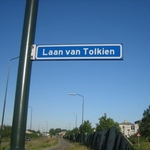 To the right of Fangorn we find two of the most beloved characters, Gandalf and Samwise, and then the Rohan section, with Eowyn, Éomer and Théoden. 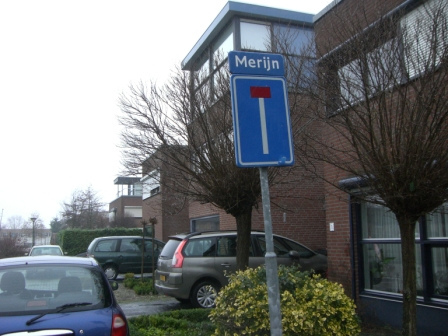 Apart from Merry Street, we are definitely in the Elven section of the city: Galadriel and Celeborn, Legolas, Lórien (also a Vala), Arwen and Nimrodel and Amroth. Going up north, we finally find the Númenor folk, with Elros, Amandil, Silmariën, Elendil, his son Anárion, and Valandil. 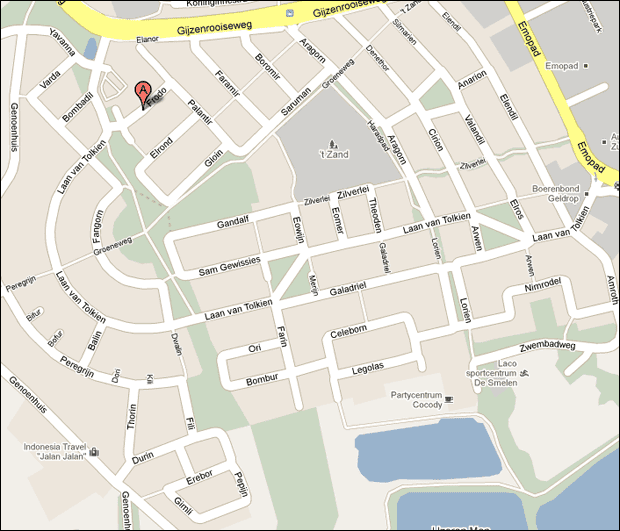 Also we find Cirion in this area. And so we have characters from The Lord of the Rings, including the Nine Members of the Fellowship, characters from The Hobbit and from The Silmarillion as well! And just one more additional detail, we only have “good” characters, Saruman being the only exception. And Bilbo doesn't have a street! 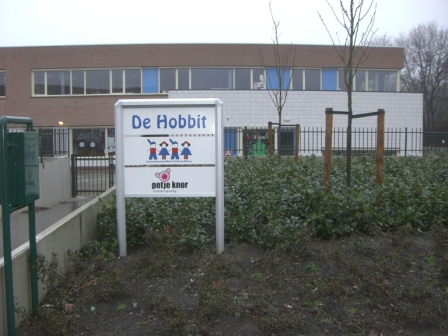 And the local kid's school is named..... De Hobbit! I went into the town's homepage, but I could not find any information about why this part of town has these excellent names. 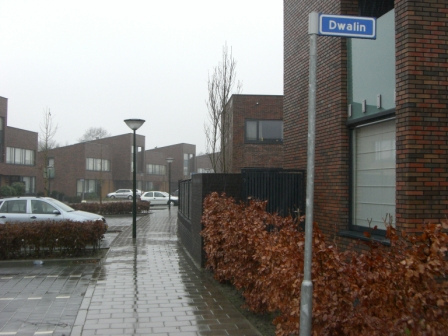 Maybe the Mayor's name was Samwise, I don't know. 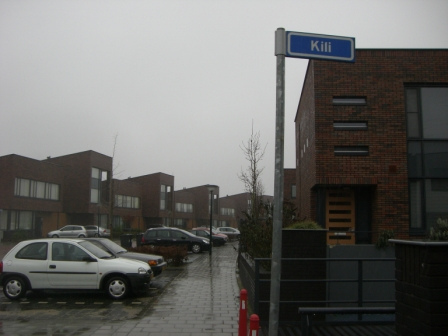 Finally, i found in flickrhivemind.net some pictures of the city, it seems a quite boring place to live in... except for the fact that you may live in Gandalf 4, or Dúrin 2! 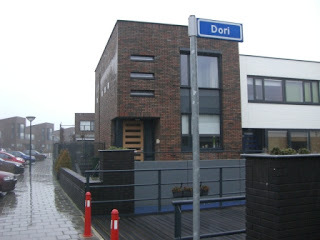 as if i needed another reason to love the dutch even more... great post. A mayor fan of LOTR!!! Or maybe a famous actor has grove here? But so good! 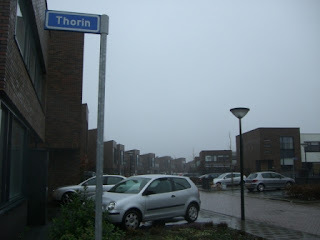 I'd like to drive my meat wagon up Lady Galadriel's back street!